Increase your swing speed and add up to 30 yards to your drive*. With the Velocity Shafts™ and Protocol. The Velocity Shaft™ will increase your swing speed and add up to 30 yards to your drive distance! * The unique patented weighted shafts are part of a comprehensive program backed by years of science-based research. In addition to two weighted shafts, you get an exclusive workout protocol with video instruction that will help you get balanced strength and take your game to a completely new level. We have data and results. And they’re pretty impressive. 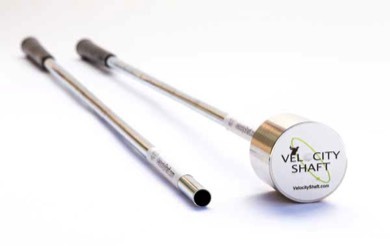 The Velocity Shaft™ has been helping golfers around the world achieve results that they thought were next to impossible. 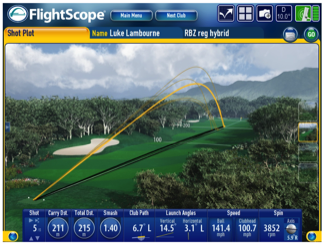 Customers are providing tangible evidence that they’re swinging faster and hitting further. Invented by some of the world’s leading sports performance analysts. 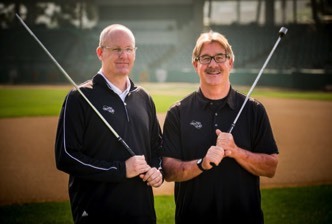 For many years, Dr. Tom House - a former Major League Baseball pitching coach, founder of the National Pitching Association and an Advisory Board Member of the Titleist Performance Institute - has helped athletes including Nolan Ryan, Randy Johnson, Tom Brady, and Drew Brees improve their skills and prolong their careers. He and his business partner, Charlie Nootbaar, apply the same principles to golfers with the use of the Velocity Shaft™ and their unique workout protocol. We know rotational athletes like no one else. Rotational what? Rotational athletes are athletes who move their shoulders and hips separately. 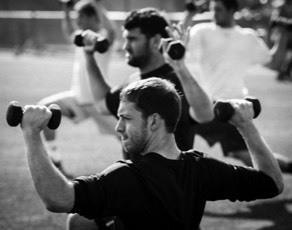 Golfers, baseball pitchers and football quarterbacks are all rotational athletes. We know best how to pinpoint their strongest and weakest areas and help them achieve balanced strength, sharper skills, avoid unnecessary injuries and even prolong their careers. We’ve partnered with the best. The Velocity Shaft™ works simply because it is the result of years of testing and research we’ve conducted with our partner, the Titleist Performance Institute (TPI). Together with TPI, we are continually researching and developing our product so that it will help golfers of all levels become the golfers they’ve always dreamed of being. *Results may vary based on age, flexibility, physical effort and other factors.